He won the Military Cross for saving comrades from a Taliban ambush, but today he returned home to be repatriated. 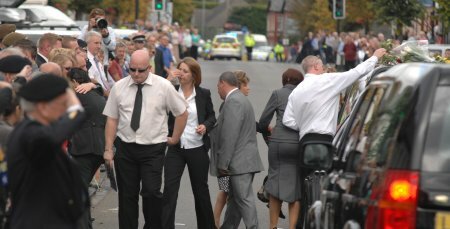 Acting Sergeant Michael Lockett MC, of 2nd Battalion The Mercian Regiment, who was awarded the honour in 2007, was nearing the end of his third tour when he died. After a private family ceremony at the base, his cortege drove through the streets of Wootton Bassett, where hundreds lined the streets in tribute.